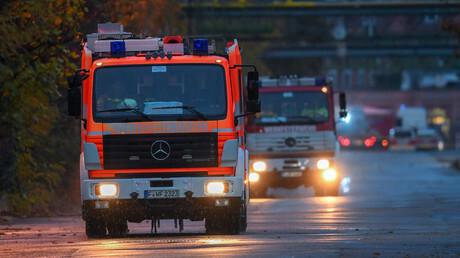 Home / #AmericanRoadRadio / #Environment / #Europe / Germany / Environment : :Frankfurt ( Germany ) locals must shut doors and windows due to hazardous chemicals leak on Tuesday ! Environment : :Frankfurt ( Germany ) locals must shut doors and windows due to hazardous chemicals leak on Tuesday ! Locals in Frankfurt am Main were briefly told to keep doors and windows closed after a hydrochloric acid vapor leak in the industrial area. The warning was soon lifted as no hazardous chemicals were detected in the environment. The incident took place in Griesheim Industrial Park on Tuesday morning, according to firefighters. “Doors and windows in the area of Griesheim and [nearby] Nied are to be kept closed,” the warning said. Locals were advised to switch off air-conditioning units and ventilation. Traffic was also halted due to the incident. The fire department asked people to turn on their radios, and released a map showing the affected area on Twitter. Warning sirens were triggered in both locations as a precaution. Specialists assessed the environment and detected no hazardous elements, police said, adding that the warning had been quickly lifted in both areas. Hydrochloric acid is a strong corrosive substance used as a laboratory reagent. The short-term effects of inhalation can include irritation to the nose, eyes, and respiratory tract.